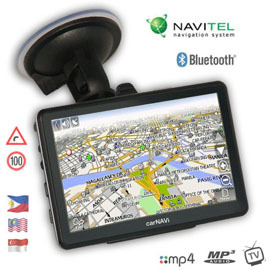 carNAVi manufactures professional and reliable GPS Navigation systems for the Philippines and South East Asia. We have devices from 3.5-inch to 5-inch screen size with different options available. Select between the sleak S 400 with 4.3-inch touch screen and build in maps, the midrange PRO 400 with large 4.3-inch wide screen or the fully featured PRO BT with Dual Core GPS/Galileo processor and more advanced technology, available in 2GB and 16GB. 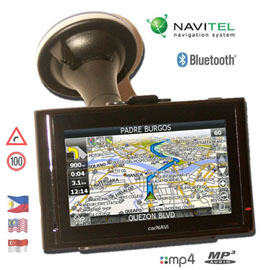 The latest navigation features and entertainment functions are available with the carNAVi PRO TV, this ultra slim device comes with a large 5-inch flat touch screen, SiRF Dual Core GPS/Galileo processor, Bluetooth handfree and integrated analog TV. 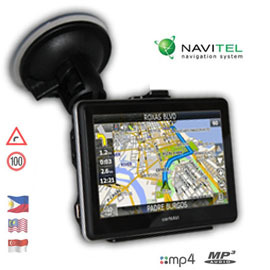 All units come with a complete set of accessories (windshield holder, car charger, stylus), latest preloaded maps for the Philippines, Malaysia and Singapore and preloaded Speedlimits. Additional maps for other SE Asian countries are available as well.